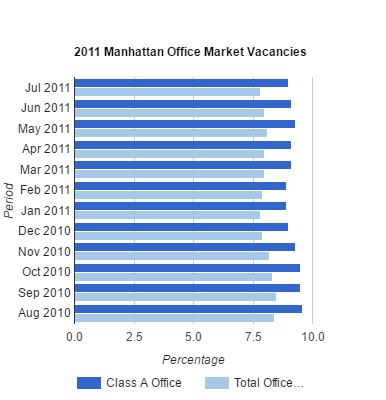 There was a lot of lateral movement in the Manhattan office market but no net absorption. 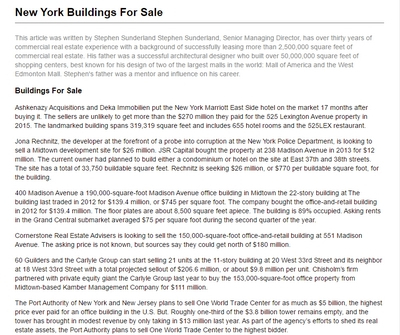 Conde Nast signed a lease for 1,000,000 SF at 1 World Trade Center but will vacate an equivalent amount. 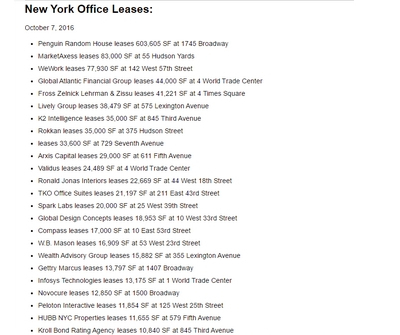 Nomura Securities signed a lease for 800,000 SF at 825 Eighth Avenue vacating World Financial Center but again a lateral movement. 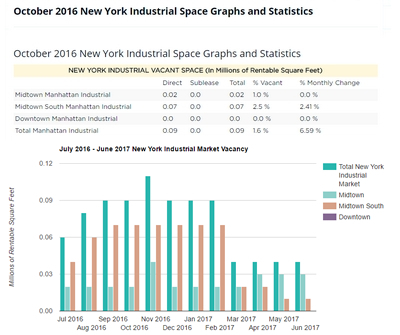 New York City saw almost no job growth in May. The revised gain for May was 10,200 jobs, putting the year-to-date gain at 42,300, up from 38,900 jobs a month earlier. The flat result should be viewed only a small "bump in the road" to recovery rather than a negative shift in momentum. The biggest losses, 2,800 jobs, were in health services. 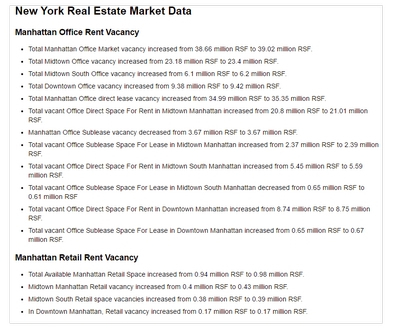 The real estate and hotel sectors added zero jobs. 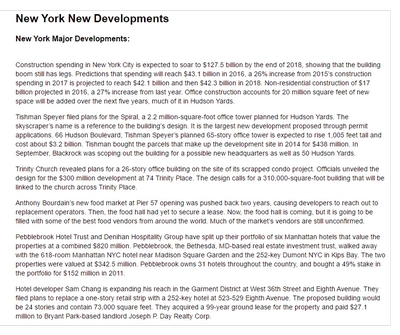 Stephen Ross' Related Companies is currently in talks with nine prospective tenants for its Hudson Yards development, each seeking more than one million square feet of space. Ross said he'll be able to announce signed deals for at least 3 million of the 4.5 million square feet being developed in the project's first phase by the year's end. Though Related has not secured construction lenders yet, it does have a partner on the project, the Ontario employees’ pension plan, which is investing $475 million. Ross said it's among the projects he's most proud of because it essentially creates a new neighborhood. 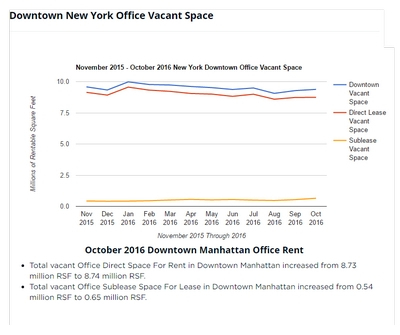 The CEO at commercial landlord Brookfield Office Properties said the firm could lease as much as 50 percent more office space this year compared with its best year ever. 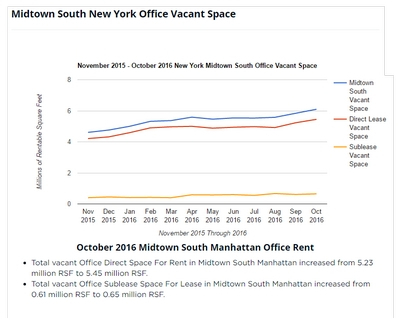 On top of approximately 3 million square feet leased in the first quarter, "we could add another eight to nine million square feet of leasing this year, giving us something like 11 to 12 million square feet. 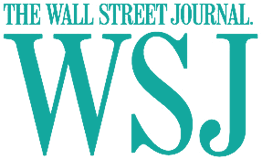 That's 40 to 50 percent better than our best year ever," company CEO Ric Clark said. 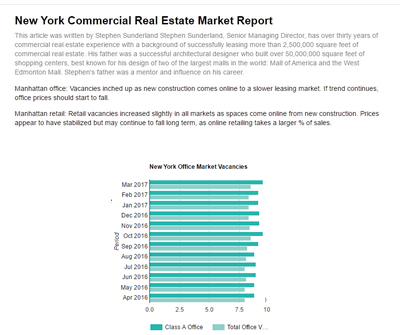 The firm has an interest in 109 office properties globally with 78 million square feet of space. Clark was speaking today at the National Association of Real Estate Investment Trusts conference in Midtown. 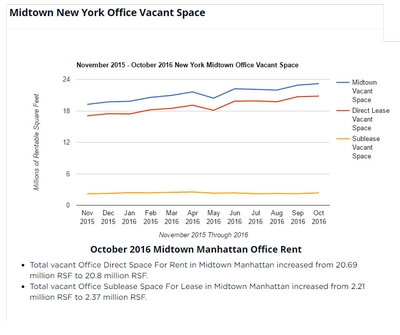 Although the office leasing market is improving in Manhattan following the downturn, Clark did not expect new leases signed at its World Financial Center Downtown to start at the same level as those now paid by financial services giant Merrill Lynch. 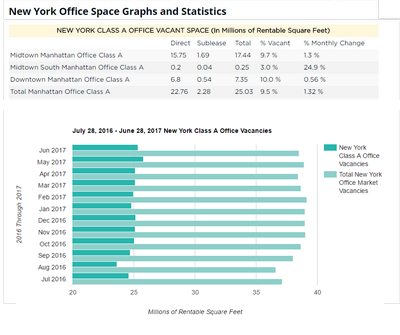 At least eight high-profile financial institutions are actively seeking large blocks of space in Manhattan, the Wall Street Journal reported, of at least 500,000 square feet each. 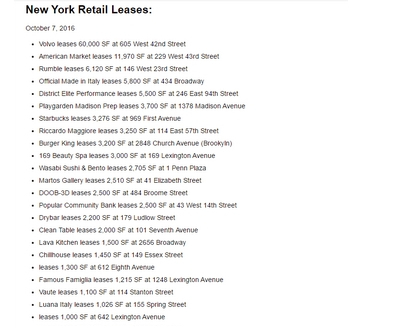 Firms looking include Bank of America, UBS AG and investment bank Jeffries Group. 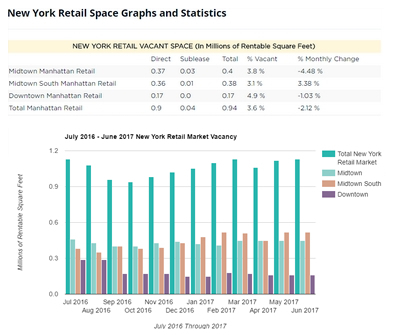 As numerous finance firms near the end of their leases, they're looking for equal amounts of space to what they currently occupy or only minor expansions amidst fears that the economy may remain sluggish.